You are here: Home / Christian Talk / 6 Tools to Have in Your Toolbox for Spiritual Warfare. When we begin to research the causes of diseases on a metaphysical level, we find that it always goes back to a spiritual void. As above, so below. When we do not notice or take care of the issue on a spiritual level, it manifests physically. Western medicine is designed to care only for the physical self so we rarely hear about miraculous cures, only lifelong “treatments”. Eastern medicine is derived more from a spiritual perspective where those seeking treatment learn to balance the mind, body and spirit for optimal health. Interestingly, most of the healing we hear about comes from Eastern medicine and requires both the practitioner and the client equally working together for optimal health. There are tools that we can make use of on a daily basis to maintain a mind, body and spirit connection to increase our awareness of what is happening on a spiritual level well before it manifests physically. Sage. Smudging your sacred place, home, body or office is an excellent way to release negative and stagnant energy from the space. Think of smudging as you would a bath, the intention of both is to remove dirt and debris. Smudging with sage changes and shifts the elements in the air. Sage can be used after an argument, when you feel moody or angry, when you are unclear or as an incense. Strong Intuition. It is difficult to battle spiritually when you are disconnected from your intuition. Our sixth sense (intuition) alerts of us any dangers that may be ahead of us and redirects us if the path ahead is more treacherous than necessary. Our intuition gives what we refer to as “gut feelings” that notify us of changes taking place with our bodies as well as what our bodies are in need of. Personal Power. I have crossed paths with those who feel personal power isn’t necessary because “God is their power”. These people often call out for Jesus to “take the wheel” as well. Personal power gives us the ability to know that God/Source/Spirit would not bless us with the vehicle if we did not possess the necessary skills to be behind the wheel. My point being, many times we use waste God-given energy that could have been used to implement action – praying. Prayer. The most improperly used spiritual tool is prayer. We often enter prayer in a desperate, helpless state to beg, hope and plead for relief. 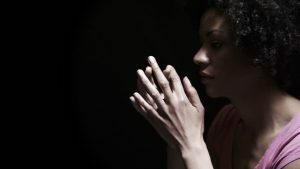 Prayer should not be limited to when things are falling apart in our lives, prayer is a daily ritual which has the power to reconnect us to God/Source/Spirit and bring about clarity and strength. We need not pray for a battle to be ended but rather than we successfully complete our mission. Purpose. Anyone can enter battle, the most successful warrior knows exactly why he or she is in battle. Spiritual warriors seek understanding on a spiritual level by going back to the Source of creation. When we understand the purpose of our challenges, it makes them easier to overcome. When our purpose is clear, we eagerly engage in spiritual warfare knowing that we are protected and that we will reach a new level of spiritual growth. Patience. I am not referring to the patience that allows you to sit around and hope/pray for the best to come. I am speaking of the patience that makes you cautious of what you eat, your strengths, who you are surrounded by, your feelings, thoughts and movement. Patience is awareness. Patience is stillness. Patience is actively fulfilling your purpose and standing in your personal power. Healing is a process that incorporates the whole self. There is no miracle pill we can take to achieve optimal health, however we can experience total health through balance. Love and Light Spiritual Warriors.